Substantial evidence has shown that major depression is associated with immune variations. 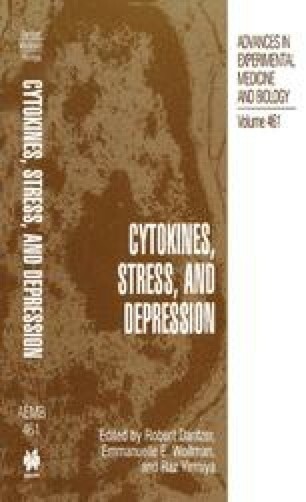 In a meta-analytic review of over thirty-five independent study samples conducted through 1991, depression was found to be associated with reliable alterations in several enumerative measures and in functional assays such as mitogen induced lymphocyte proliferation and natural killer (NK) cell activity (Herbert & Cohen, 1993a). Since 1991, many additional studies on the relationship between depression and immune measures have been published which has led to a recent reevaluation of the immune findings in depression (Zorrilla, Luborsky, McKay, Rosenthal, Houldin, Tax, McCorkle, Seligman, & Schmidt, 1998). While both reviews observed similar relations between depression and several immune measures including major immune cell classes, lymphocyte proliferation, and NK activity, conflicting results were obtained for many other measures. An enormous heterogeneity in the findings is suggested by the discrepancies between these two large meta-analytic reviews.